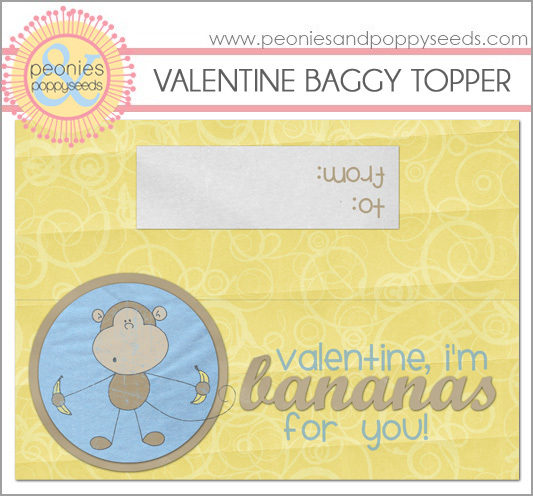 This printable comes as a baggy topper. Just print and fold over the top of a regular sized baggy. 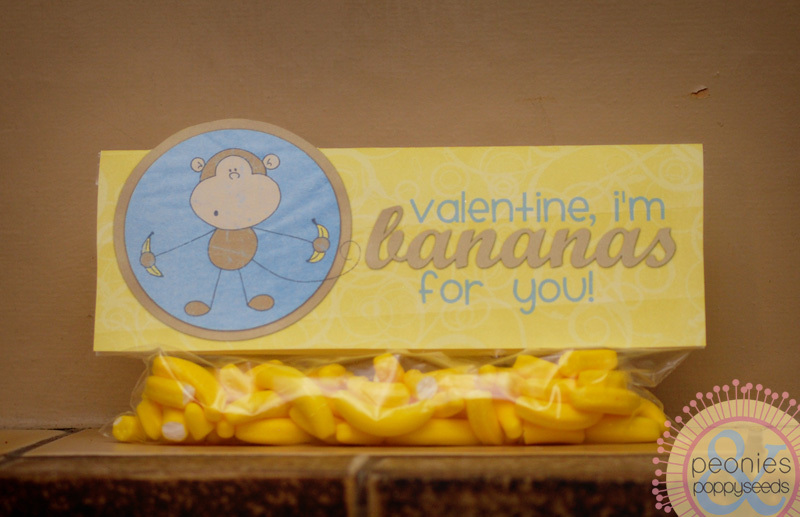 You can fill your baggies with banana flavored Runts candy, or for a healthier treat you could give out dried bananas. 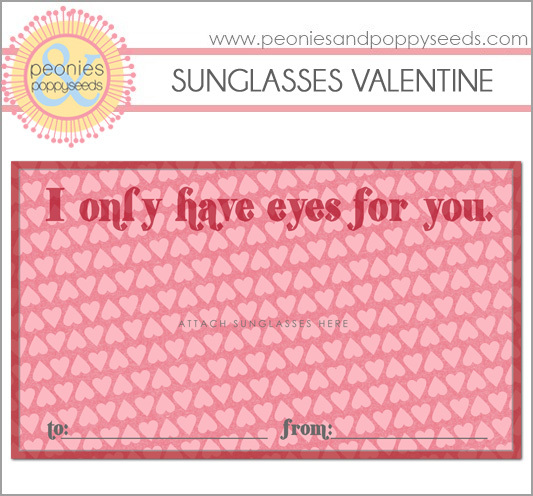 You can skip the foodie treats altogether and give your Valentine something to wear! This is a fun, and not-too-expensive way to give someone special a fun Valentine. 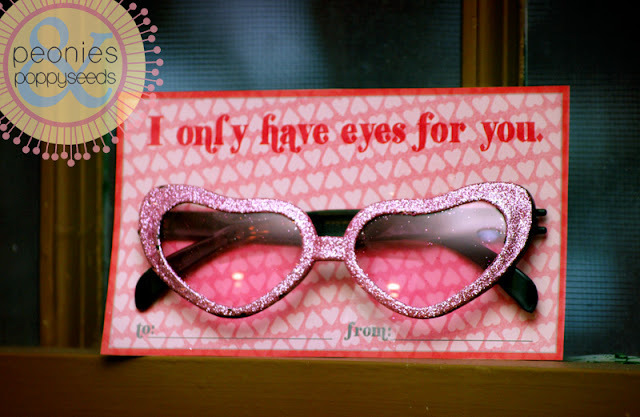 I got the sunglasses at the dollar store (I LOVE the dollar store) and just taped them to the front of the card.